For one of the natural remedies for arthritis - Drink pomegranate juice and relief from symptoms and pain may become a very real option for some of the 21 million people who suffer from mild to severe arthritis. Currently, creams and medications seem to be the most recommended treatment for arthritis symptoms. However, studies conducted on the affects of pomegranate juice for arthritis pain and inflammation are returning positive and encouraging results. Pomegranate juice could very well be an alternative treatment or “therapy” if you will for the inflammation and pain associated with this medical condition. A study conducted at the Case Western Reserve University School of Medicine in Cleveland discovered that the extracts contained in pomegranates actually block the enzymes that are attributed to osteoarthritis. They tested the theory by giving the extract of pomegranate to rabbits. They then tested the level of proteins in the blood that cause arthritis flare-ups. Pomegranate extracts effectively prohibited the activity of the proteins and actually increased antioxidant levels at the same time. This is good news for those with arthritis! Less inflammation means less pain and discomfort for arthritis sufferers. Dr. Tariq M. Haqqi is a professor of medicine at Case Western and he believes this could be very good news for those who are suffering daily from not only the pain of the arthritis itself, but also from the side effects that come with arthritis medications. He also mentioned that much more research should be and will be conducted before announcing any definitive statements about the effectiveness of pomegranate juice on arthritis. 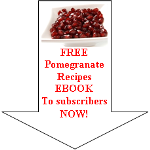 Why Choose Pomegranate Juice as One of the Natural Remedies for Arthritis Over Medications? Arthritis affects millions of people each year. The age range varies greatly, so it is no longer a disease that simply affects the elderly population. There are people as young as 22 years old that are experiencing arthritis and have been faced with the choice of taking medications or dealing with the pain constantly. All medications have some sort of side effect or another and the meds and creams associated with joint pain or arthritic pain is no different. Side effects of the anti-inflammatory drugs being prescribed by physicians for these medical conditions can include bleeding of the stomach, nausea, vomiting, diarrhea, rash, dizziness, drowsiness, headache, and even more severe side effects in some people. If you knew that you could have natural remedies for arthritis pain and inflammation, wouldn’t you opt for the healthy fruit, pomegranate and pomegranate juice rather than the meds that could wreak havoc on your body over an extended period of time? Pomegranate juice extracts are being prescribed as an alternative therapy to arthritis sufferers in the hopes that they will experience relief from their symptoms without having to worry about uncomfortable or downright debilitating side effects from medications. Patients have testified to their physicians that their joint pain lessened or sometimes even stopped once they began to faithfully drink pomegranate juice on a daily basis. For those with milder symptoms and inflammation, the extracts of this superfruit could very well be the answer in lieu of medications or creams for real relief. Why don’t you give it a try and see the results for yourself! 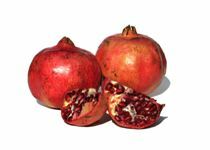 Read enough about natural remedies for arthritis and want to discover other health benefits of pomegranate juice?